Apple goes out of its way to point out that its AirPods headphones each only weigh about four grams, but it’s not surprising that HBQ, the creators of these Bluetooth alternatives, boasting four to five hours of playtime, omits those important details. Maybe it has something to do with the fact that wearing them will make it look like you’ve got soup spoons hanging from each ear? 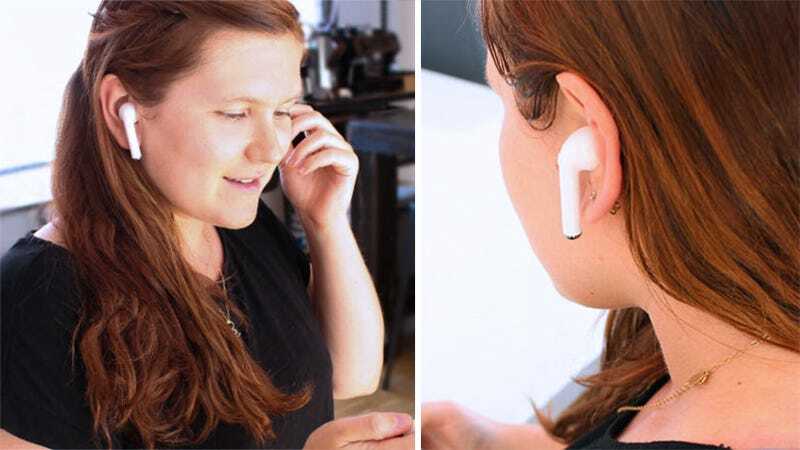 Even with a $30 sale price right now, we’re really struggling to find a reason why you’d choose these over an old-school tethered pair of headphones—unless you’ve been looking for a way to tone your neck muscles as you struggle to keep your head upright while listening to music.